The PETROTECH series of International Oil and Gas Conference and Exhibition is a biennial platform for national and international experts in the oil & gas industry to exchange views and share knowledge, expertise and experiences. As the prime showcase of India’s hydrocarbon sector, the event attracts technologists scientists, planners and policy makers, management experts, entrepreneurs, service providers and vendors in order to catalyze achievement of global energy security. PETROTECH 2019 is organized under the aegis of the Ministry of Petroleum Natural Gas, Government of India by Indian Oil Corporation Limited and PETROTECH society. Over the years, the PETROTECH series of conferences has gathered momentum and emerged as a movement uniting the upstream, midstream and downstream sectors. Oil and Natural Gas Corporation Ltd. (ONGC) along with Federation of Indian Petroleum Industries under the aegis of the Ministry of Petroleum & Natural Gas (MoP&NG), Government of India, is organizing an International Oil & Gas Event- ‘PETROTECH 2019’ in the month of February 2019 at India Expo Centre, Greater Noida, Delhi NCR, India. 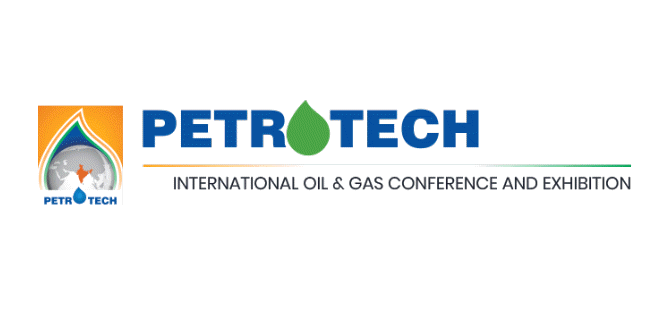 PETROTECH 2019 is the 13th edition of this international event. It has been well attended in the past by Indian and International participants. The last edition held in 2016 witnessed participation from Energy Ministers of 20 countries, over 7000 delegates and 691 exhibitors including 378 foreign exhibitors from 36 countries. PETROTECH 2019, along with its technical conference, offers opportunity to National and International companies to showcase and exhibit their strengths, excellence and products in the International Exhibition, which is a part of this event. The exhibition shall be held in Hall Numbers 1, 3, 5, 7 of the India Expo Centre, Greater Noida, Delhi NCR. The Committee for the Exhibition intends to engage a professionally qualified and experienced agency as Professional Exhibition Organizer (PEO), on behalf of PETROTECH 2019. PETROTECH 2019 plays host to more than 300 exhibiting participants, looking to promote different types of oil, petrochemicals and natural gas tools and equipment to the visitors. Some of the chiefly exhibited items at the show are engineering tools, construction machinery, power generation machinery, renewable energy sources and pollution control instruments. Transportation and logistics tools, insurance services, education and training facilities and research instruments are also showcased here. The list of exhibitors at the show features several renowned companies, including Menon Associates and Oil and Natural Gas Corporation.